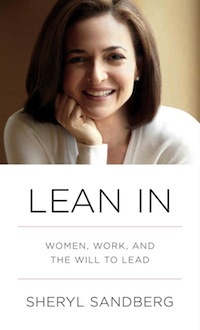 I was reading all the recent hoopla about Sheryl Sandberg’s, Facebook COO’s, “sort of feminist manifesto,” Lean In: Women, Work and the Will to Lead, and remembered that 17 years ago, I wrote one of my own. I dug it up (I have one single hard copy, no cloud back-up in 1996) curious to find out if I would still agree with the ideas of my twenty year old self. The essay, which won first place in a Peace Corps International Essay Contest on Women Issues, was not entirely born out of passion (the chance of a money prize was a great motivator back in my college days), but I was surprised to see that I still agree with most of what I wrote. Women do have to overcome traditional stereotypes and prejudice. The fact that we still have to discuss if successful women are as likable as successful men shows that our thinking has not evolved much since 1996. Balancing professional achievement and family is hard. Women who do so are often considered not feminine or motherly enough. By choosing a career they are compensating for a key feminine deficiency that prevents them from excelling at the traditional wife/mother role. Many decide that balancing being a professional and a good mother is too hard and go back to the traditional role. In an effort to justify reverting to it, they embrace it with the zeal of a “born again” soccer mom. They erase their professional achievements and give up on the effort to define themselves in any other way but through their families. Ultimately, it is this “all or nothing” attitude that creates a permanent feeling of guilt and perpetuates the challenges we face as women. 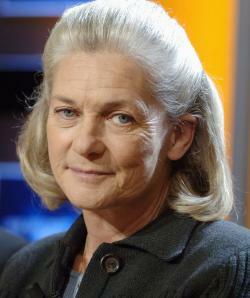 Contemporary French philosopher Elisabeth Badinter made a similar, much more sophisticated argument in her book The Conflict: How Modern Motherhood Undermines the Status of Women. And I agree with her, the strive for perfection can be as debilitating and as regressive as the oldest of traditions, regardless of if its self-imposed or society-driven.